Could you really do some damage to a personal pizza about now? You're in luck: a new Italian joint and pizzeria by the Naples-born former head pizza chef of Eataly NYC has opened its doors in Park Slope. Called Pizza Secret Neapolitan Food, the fresh addition is located at 72 Fifth Ave. In addition to its Neapolitan-style pizzas (with a thin but airy crust), the eatery offers Italian small plates to start, like arancino meatballs with rice and beef; eggplant parmesan; and buffalo mozzarella with prosciutto and cantaloupe. The pizzas are divided into red-sauce pizzas like the salsiccina, with tomatoes, mozzarella, mushrooms, sausage, and basil, and white-sauce pizzas like the mastunicola (burrata, mortadella and pistachio pesto). You can check out the full menu here. With a four-star rating out of 18 reviews on Yelp so far, Pizza Secret Neapolitan Food is getting solid feedback from clientele. 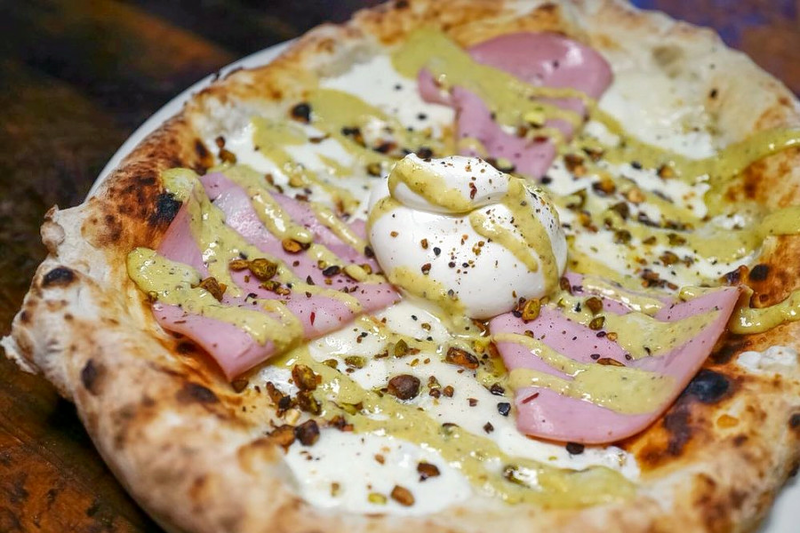 "The pizza was light and had just the right amount of seasoning," wrote Natasha P. of the burrata and pistachio pizza. "The only complaint I have is that the pizza came out first when I would have preferred the salad and eggplant first." "Very solid pizzas," Yelper Lucia T. agreed. "The owner is from Naples (the birthplace of pizza) so it's Neapolitan style pizzas here. Dough is tasty, soft and airy." Swing on by to take a peek for yourself: Pizza Secret Neapolitan Food is open from 10 a.m.-11 p.m. daily.